Using our barbecue skewers and experience the comfort of stress free packing, traveling, camping, and happy family time!The food grade stainless steel and comfortable wooden handle, perfect size in your hand and easy to clean. 4 pack for outdoor dining, picnic, barbecue. Easy marinate your food--simply marinate in the bag while skewered on the flexible skewers. "V" shape blade of BBQ Skewers which won't bend or rust!You will spear the food quickly! 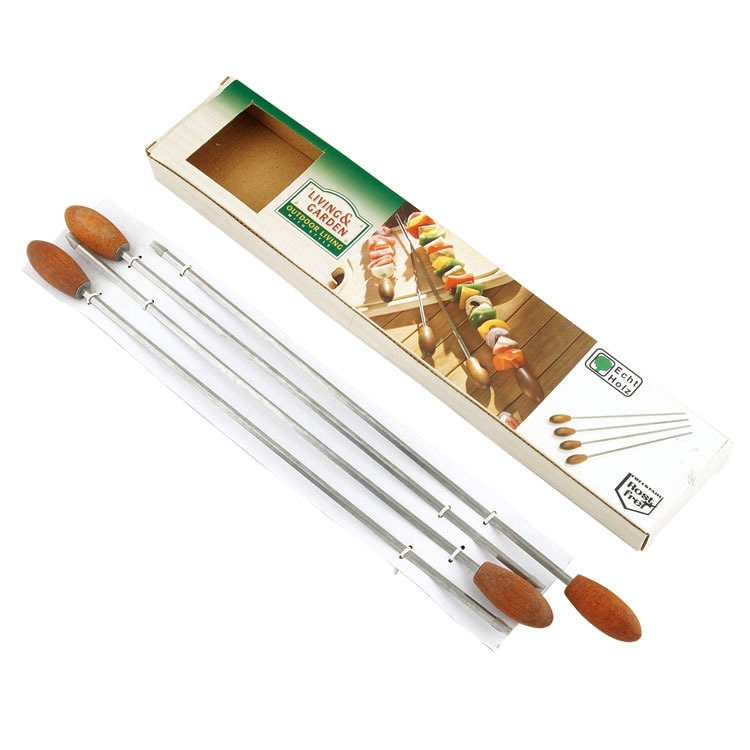 Looking for ideal Barbecue Grilling Skewers Manufacturer & supplier ? We have a wide selection at great prices to help you get creative. 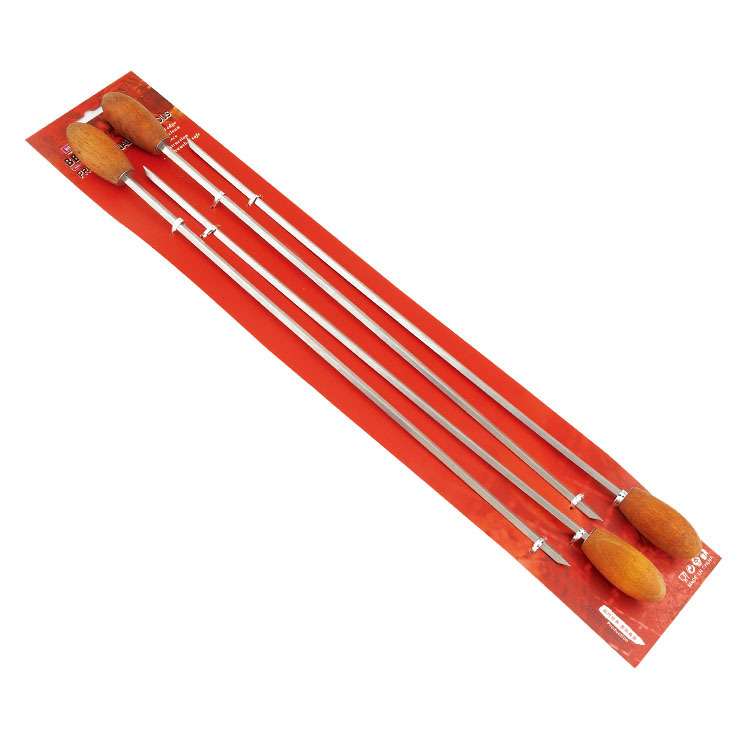 All the Barbecue Grill Needles are quality guaranteed. We are China Origin Factory of Bbq Grilling Skewers Set. If you have any question, please feel free to contact us.